The Merge option determines if the copied image data will be from the current layer only or the results of merging all layers, visually what you see. The Toggle Clips button is for convenience to show or hide the Clips panel since it is common to place a copied image object into a Clip bank. Notice that the background layer is transparent. While it isn't required for this example since the Copy tool will grab only the current layer data (unless the Merge option is checked). 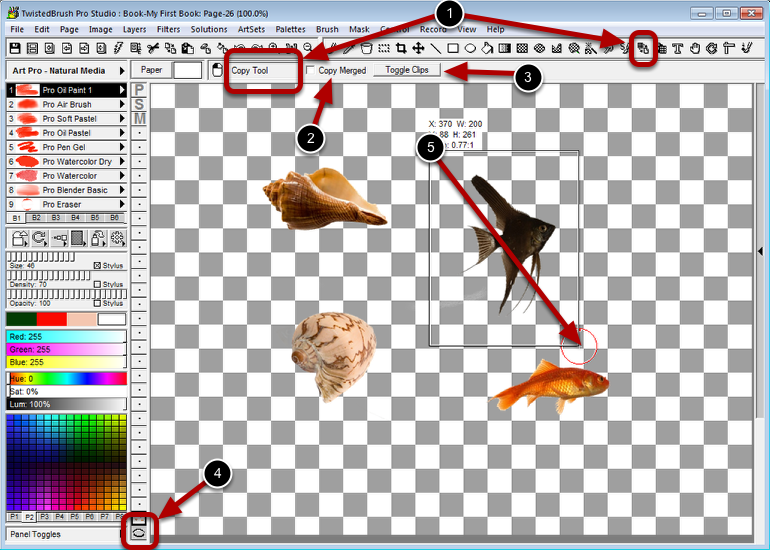 Click and drag to define the area of the image to copy to the clipboard.